As a dog owner, you know that your dog will bark and growl for a number of reasons. But it can be difficult to determine when it is something to be concerned about. Different barks and behaviors have different meanings and emotions behind them. This can go beyond just interacting with other dogs or getting your attention. Depending on the situation and the body language you notice, your seemingly sweet and innocent dog could be exhibiting some real primal aggression. Resource guarding is a common behavior shown by dogs. But it isn’t quality that most dog owners appreciate. Luckily, with enough information and patience, it’s something you can work on with your dog and see big improvements. 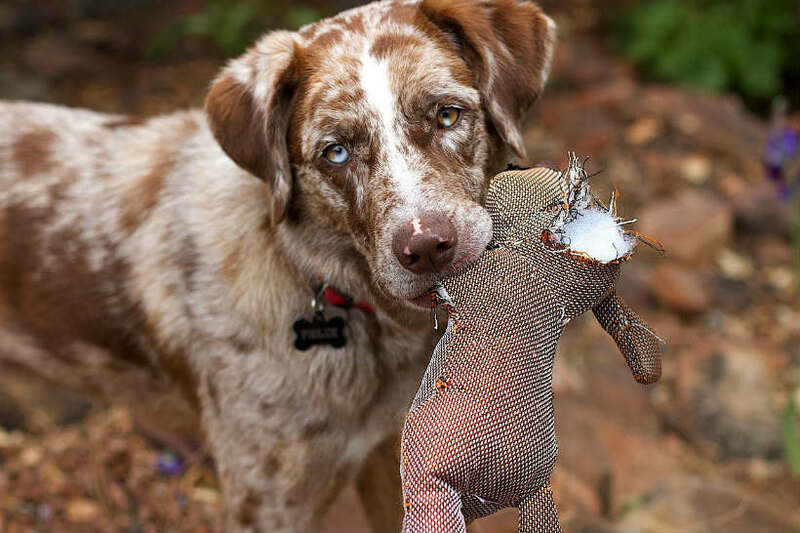 Resource guarding is when your dog becomes possessive and aggressive over objects that they believe belong to them. This can be things like toys, food, beds and even people. They feel like they must stand their ground and protect what is “theirs” from anything that might try to take it away. You might notice your dog showing their teeth or growling. Their body might stiffen up when you approach them while they’re eating or gnawing on a bone. If your dog is showing particularly aggressive signs of resource guarding, he might begin snarling, snapping or biting. Typically, this all comes in stages of warnings. They won’t just immediately begin biting. Sometimes resource guarding is more passive and less threatening. You might notice that your dog begins eating faster if someone approaches them at the food bowl. It’s also common for them to take their precious snack or toy into another room or hide it. All of these behaviors are perfectly natural and show a side of the primitive brain that is sometimes easy to forget exists. Your dog is long distance cousin of a wolf. Even some of the most well-trained dogs have these instinctive, primal behaviors that come into play at times. Their ancestors were very likely scavengers. This made resources such as food and shelter very valuable to them and required aggressive guarding to ensure their survival. Again, this behavior is not abnormal. However, it is something that many dog owners aren’t comfortable with – especially is if your dog is showing excessive aggression. It can be dangerous for you, your family, and your other pets if it begins to get out of hand. If you’ve been noticing some of these signs that indicate resource guarding and want to start working with your dog to overcome it, here are some steps you can try to help reduce it. To better understand your dog’s resource guarding tendencies and figure the best approach to reducing them, it’s important to observe and take note of their specific behaviors and objects that they’re protective of. Pay attention to what particular resource guarding behaviors he is exhibiting. Look at how close you have to be before he begins showing this behavior. He might be protective of the food bowl, specific toys, blankets, or bedding. Dogs are almost always driven by food. Before you can start trying to influence the behaviors you identified with training, you must find something tasty to distract them from those behaviors. Experiment with different training treats and meats. See which one is most attractive to your dog. If they love a certain type of meat (which most dogs do), cut some up into pieces that can easily be given by hand and have them ready in a container. It can be difficult to teach your dog that you mean no harm and don’t wish to take his things. However, a dog is more receptive to learning when they know that when you approach them, they’ll get something good. Once you know what your resources your dog is particular about, you know that you have an opportunity to make an impact. Start from a distance that doesn’t cause them to start to initiate any guarding behavior. Toss a treat toward your dog. Make sure they see it and eat it. Once you’ve done these actions two or three times, casually walk to another area of your house. Your dog will likely come find you hoping for more treats, but you should ignore them and look away. For now, you want them to only associate these random treats with area or item they’re guarding. Over time you want to repeat the last step, moving closer every few sessions. Toss the treat, move a bit closer and toss another treat, then walk away. If you notice that your dog begins to tense up or begin growling, back off and don’t move any closer for the next few tries. When you notice that you can easily get closer to your dog, you know you’re gaining their trust and can continue with the method. Patience is key with this training method. It isn’t going to happen in one day or even one week. Eventually, your dog will associate you coming up to them with only good things. Once you’re confident that your dog’s resource guarding is getting under control, you can gradually begin to reduce the number of sessions. However, you want to keep up the expectation and trust over time by repeating the actions at least once or twice a month. Here is something to keep in mind. If your dog shows excessive aggression with certain objects and resources, you might want to begin by tossing treats to your dog when they’re enjoying something that isn’t as valued as their highly valued resource. Then work your way up to sessions around their favorite items. This way you’ve already begun to instill the idea that should only expect great things from you walking up to them. In addition to the above training method, there are also a number of things you can try to help reduce resource guarding behaviors. Here are a few helpful tips and things to consider when working with your dog. You might come across the suggestion to simply place your hand in or around the food bowl or item they’re guarding. This can be very upsetting and impactful on your dog’s emotions and could make these behaviors worse, or even get you bitten. Attempting this as means of preventing a dog from beginning to guard resources can actually cause them to feel threatened. Eventually, they might begin exhibiting the behavior you were trying to avoid. It’s common to become frustrated and want to confront or punish your dog for resource guarding, especially when they’re being overly aggressive. However, this can make things much worse. Punishment, either verbal or physical, can cause your dog to feel threatened and increase their fears of competition. This could cause them to value the resources even more, or instill other bad behaviors. One thing that can be helpful during your training, especially for food aggression, is changing the environment. You can change the food bowl to something noticeably different in size or shape and move it to a new location. If your dog has become especially accustomed to a particular area or bowl, it may cause them to become extra possessive and protective. Switching things up can be helpful at breaking that association. If you have multiple people living in your home and interacting with the dog, everyone needs to take some time work with them on this training method. If you’re the only one attempting to build trust and expectations with the dog, you’re probably going to end up being the only one they trust to approach them. If your dog is especially aggressive or you just simply want to learn more about resource guarding or aggression, contacting a progressive trainer or dog behaviorist can be incredibly valuable. If you have any small children this can be especially helpful in preventing bites, which are often brought on by resource guarding. A professional can help you address the issue quickly and learn how to better understand your dog’s behaviors and what makes them tick. 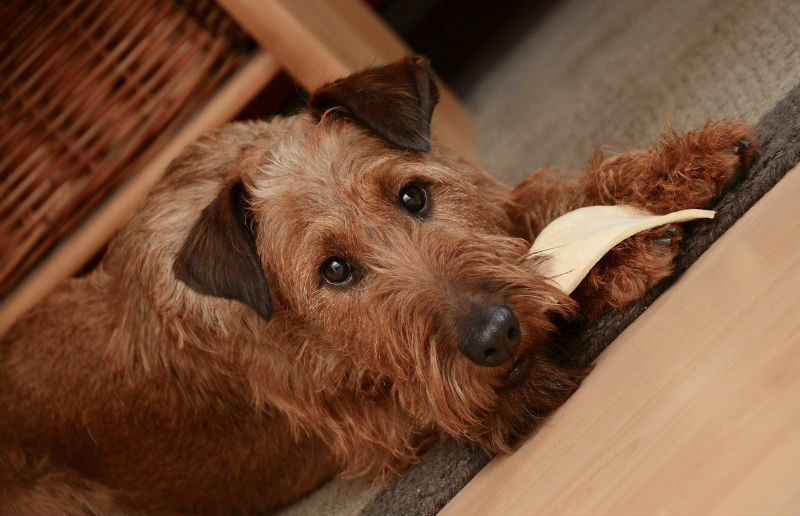 Resource guarding in dogs is a very normal but often undesirable behavior. It comes from a deep rooted primal instinct that resources are limited and need to be highly valued and protected. These protective behaviors can vary from quite passive to excessive aggression and biting. Some dog owners just choose to accept and live with their dog’s resource guarding. But if you feel like your dog’s behavior is getting to be too much or you just want to reduce it, try these helpful steps and tips. Just remember that patience and understanding is essential to the process. Thank you for this information my dog does this with her toys. What about aggression at dog park? My dog is obsessed with her ball at park. Will not let any other dog come near it or doesn’t like any dog in the way when I’m trying to throw it. She will grawl,show teeth and turn to attach other dog. But very strange if another dog happens to get her ball after throwing she doesn’t try to attack them she just follows them around. 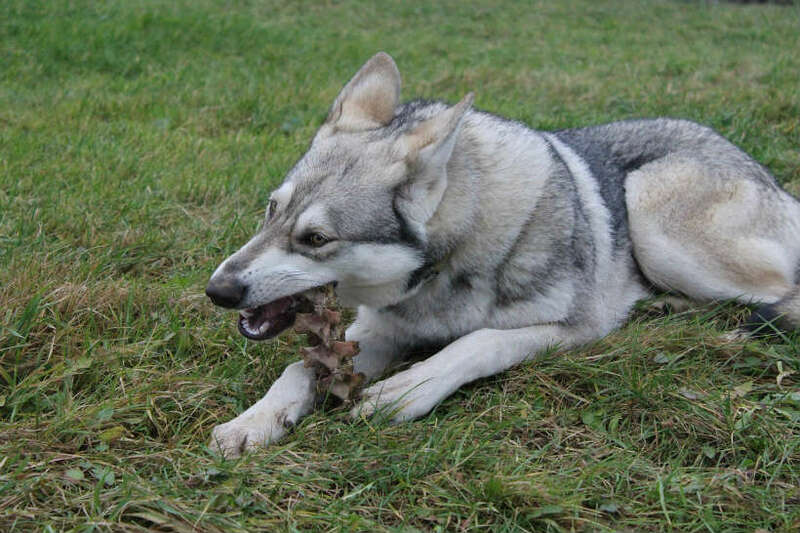 Also if she is taking a rest with ball beside her or close by she will growl, show teeth and basically try to attack. This does not happen with any person just dogs at dog park.